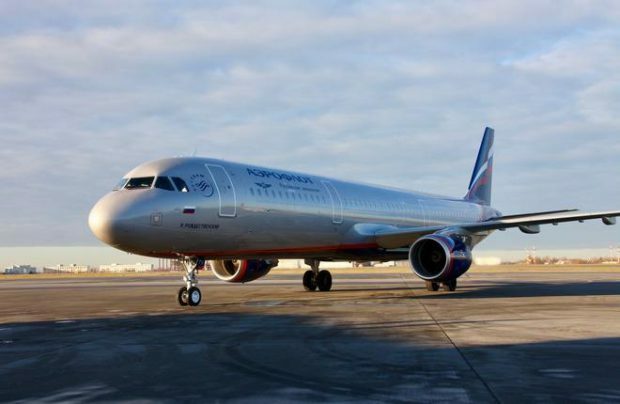 Russian flag carrier Aeroflot has taken delivery of two factory-new Airbus narrowbodies, an A320 and an A321. Both were delivered via Chinese lessor SkyCo International Financial Leasing in conjunction with Lithuania’s AviaAM Leasing under 12-year operating lease contracts. The A321, registration code VP-BTH (factory number MSN 7878 ), is powered by CFM56-5B3/P engines and equipped with sharklets. It seats 186 passengers: 16 in business and 167 in coach. The A320 (VP-BTC, MSN 7846) has CFM56-5B4/P powerplants. According to Flightradar24, both airliners have already been put into revenue operation on flights to Europe and inside Russia. Aeroflot’s total A320-family fleet thus increased to 215 airframes, including 39 A321s and 74 A320s. The airline also operates Airbus A330 and Boeing 777 widebodies and Sukhoi Superjet 100 regional jetliners.